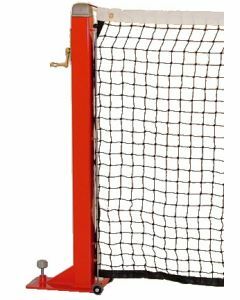 Indoor removable tennis posts with net. Floor anchored. 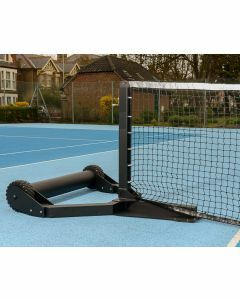 Integrally weighted tennis posts - ideal for situations where socketed tennis posts cannot be used. Suitable for all surfaces. 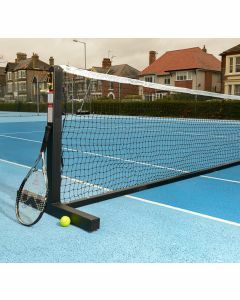 Net and centre band adjuster included. 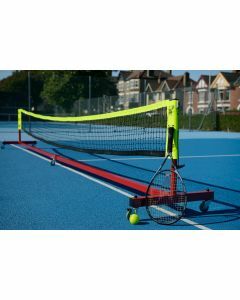 Our most popular selling freestanding tennis posts have been redesigned to be suitable for use on all court surfaces by clubs and schools.